This is terrific information. Happy Holidays! I love spin cycling and wore mountain bike cycling shoes in class. I fractured my right sesamoid bone in my foot. Has anyone ever heard of this happening from cycling? I did not clip in–just used the cages. I havent been able to go back to spin cycling since the injury. I have treated many cases of sesamoiditis and fracture which happened during spin class. Typically this happens when the pedal rests squarely below the forefoot or when the majority of the class is spent out of the saddle. You may need an MRI to confirm the fracture is healed before going back and you will definitely need to modify your cycling form. Less standing and less resistance when you do stand will give your quads more of a workout and reduce the force going through the sesamoids. Thanks so much for writing back! I find very little information and support from the medical community in my town–mostly because broken sesamoids are not a very common ailment. The hardest part is trying to figure out what shoes are healthy for my feet, and what activities I can do without refracturing the already broken- to- pieces sesamoids. The local foot specialist keeps telling me no more flexible shoes, spin cycling, or yoga (or anything that involves flexing of the forefoot). And this is after 2 years. it is like haveing feet of glass! Thanks for sharing your expertise. I miss having rock solid feet and being more active. 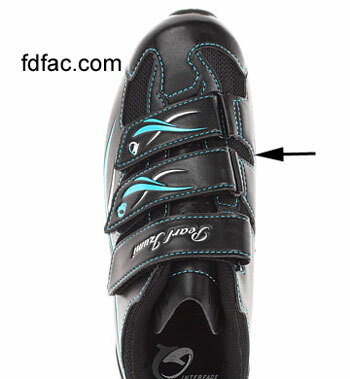 I would first make sure your cycling shoe is wide enough. 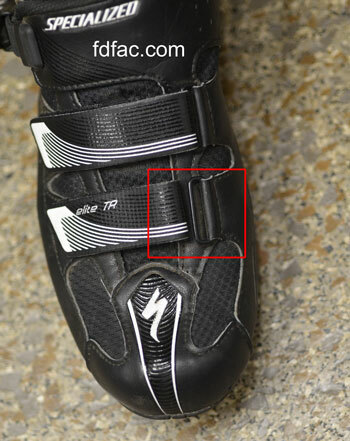 See my earlier post on cycling shoes and bunions https://drshoereviews.com/2013/11/27/cycling-shoes-and-bunions/. Second, do you only have pain when you cycle or during additional activities as well? If you are having pain in all shoes, then surgery is definitely an option you will want to consider – especially if you only have the bunion on one side. At the very least, I would get an evaluation and x-rays by a sports medicine podiatrist. Then you will be able to track the progression over time.